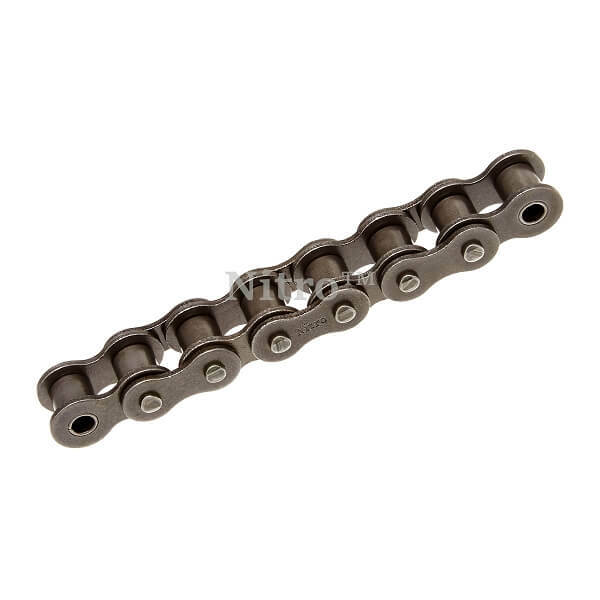 #80H Heavy series roller chain is manufactured with thicker link plates than standard roller chain to help against fatigue with greater shock loads. Q: Who is the manufacturer of this rolling chain? I am looking at the 80H roller chain. Q: what is the tensile strength of your #80 H roller chain? A: The average tensile strength is 16,000 lbs. Q: Would you recommend this for a smaller 24hp 3450lb skid steer drive chain? A: If the skid steer manufacturer calls for 80H chain for the drive, then this would work fine.